The Aviagen Europe, Middle East and Africa (EMEA) Production Management School portfolio continues to grow, and during 17-23 February, customers joined the very first EMEA Ventilation School. Held in Toledo, Spain, the school saw 18 diverse attendees from 10 countries spanning 3 continents – from Sweden, to Zambia, to Japan. Students experienced a balance of classroom learning and practical hands-on training at a local farm. 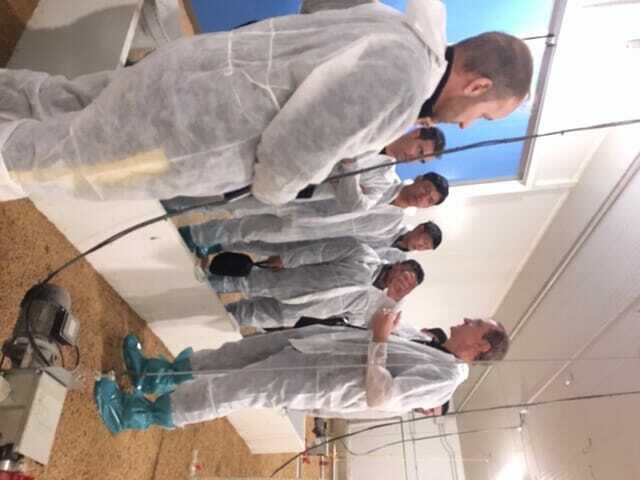 During the small-group classroom sessions, they engaged with Aviagen and industry specialists and with one another to explore bird environmental needs, litter management, preventive maintenance and other aspects of effective broiler and breeder housing ventilation. Half of their time was spent working on farm to test their understanding and put into practice how a ventilation system should be operated. The School also emphasized the importance of observing bird behavior and considering environmental conditions while choosing the type of ventilation. A critical take-away was an understanding of the theory and practice behind minimum, transitional and tunnel ventilation, with on-farm practice opportunities for each of these three major ventilation types.